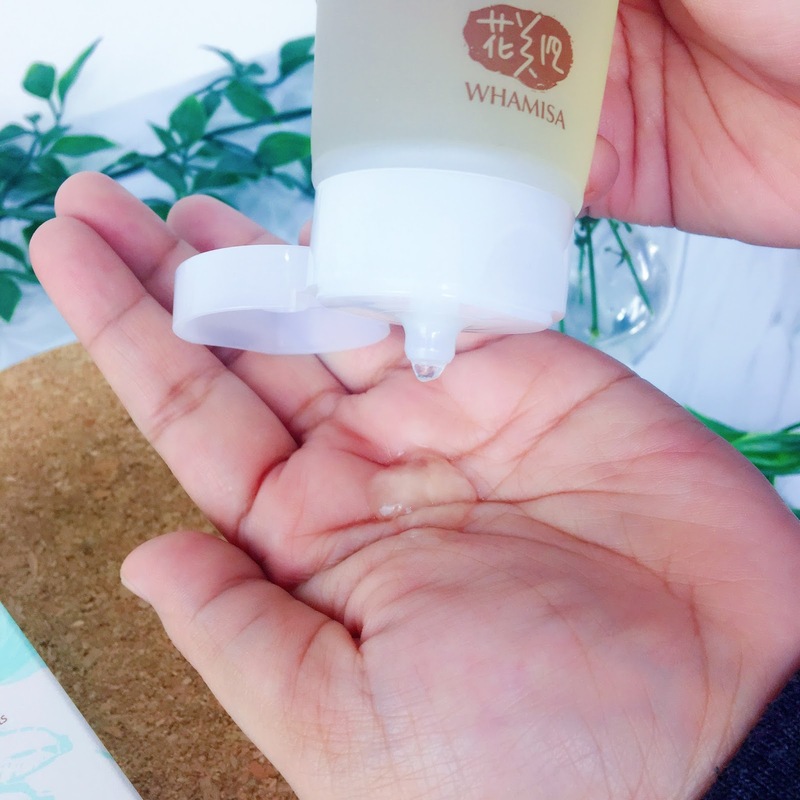 As I was cleaning my beauty stash at home to welcome the new year, I noticed that I have an unopened box of Whamisa Organic Fruits Family Hand Wash Gel which I got for free during Whamisa's Grand Opening event on Althea's website last year. Knowing myself all too much, I know that the product will stay untouched if I don't start using it straight away. So I decided to haul it back to the office since I know that I tend to use more of my beauty products there lately. Weird, I know but that is one of the perks of working in Althea.Since we're always working around beauty brands, it became inevitable for our team to start using more of them too. Not that I am complaining though! Anyway, let's talk a little about the brand before I share more about this Whamisa Organic Fruits Family Hand Wash Gel. 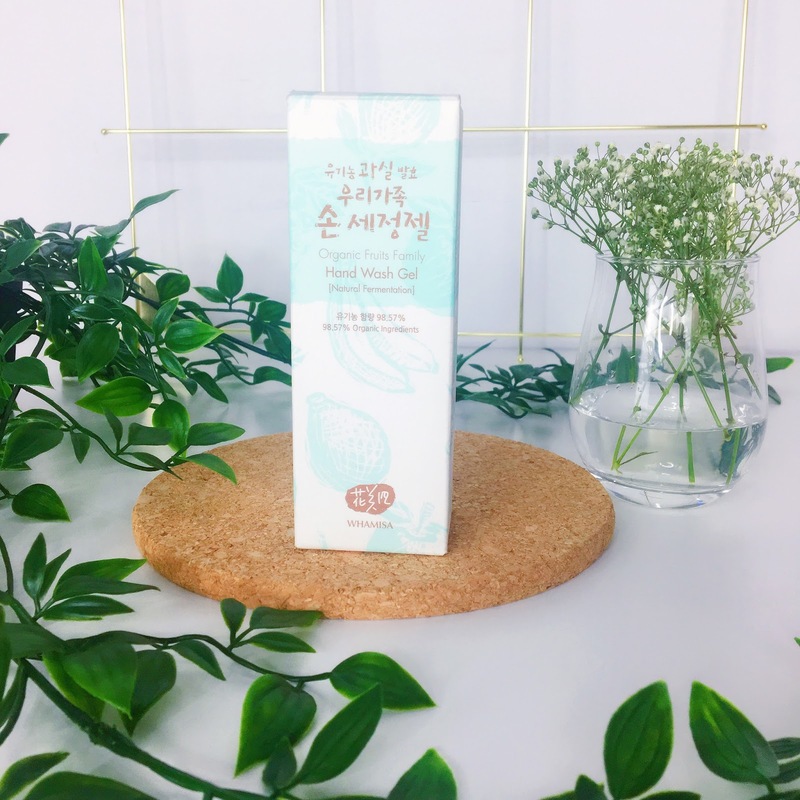 Based on my knowledge and research of Whamisa, this particular beauty brand from Korea tends to focus on a few keywords such as organic and fermentation and uses natural sources such as fruits, flowers and seeds as key ingredients in their products. Not just that, even their packaging seems to emphasize that 'close to nature' side of the brand. Their brand's story also mentioned that instead of trying to look classy and fancy, they want their customer know that they put their heart and soul into the creation of each product; just like how a mother would feel while preparing foods for her children. 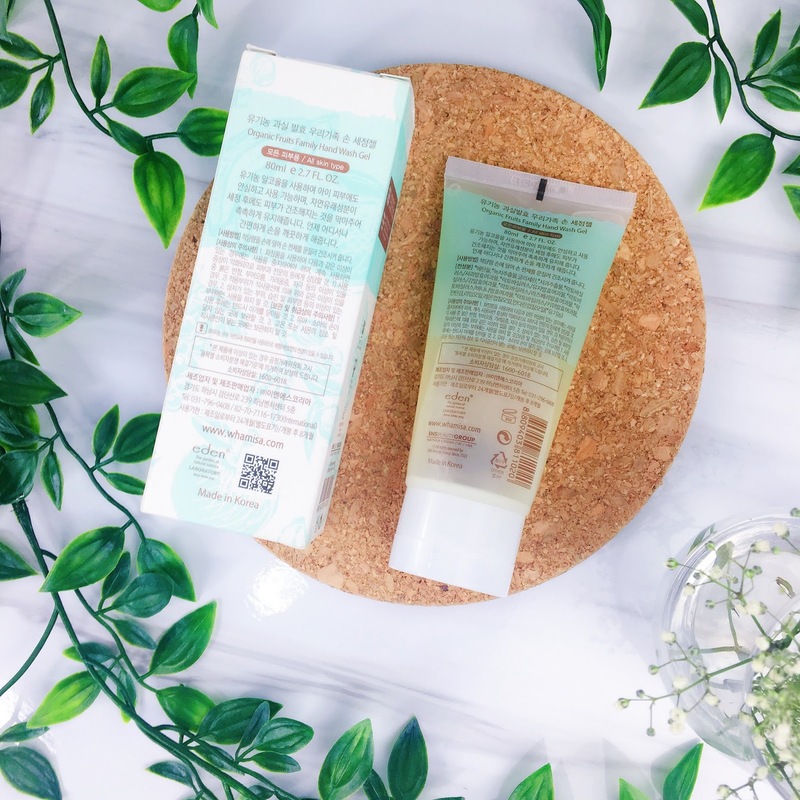 Whamisa's signature formulation method is through natural and organic fermentation using a bacteria called Lactobacillus B; in fact, they claim to be the only brand that uses that method in formulating their products. This bacteria is said to provide better penetration of products through the skin. Not just that, this brand also claims that more than 95% of ingredients used in the products a comes only from a natural source. This brand is also EWG verified, which also increases their credibility towards these claims. To be honest, I had a pretty low expectation of this Whamisa Organic Fruits Family Hand Wash Gel even before I start to use it. I mean, it's a hand wash gel, what else could it be? Apart from probably be gentle enough to be used by those with sensitive skin? But oh boy! I was wrong for judging a book by its cover because this product surprisingly turned out to be quite nice! 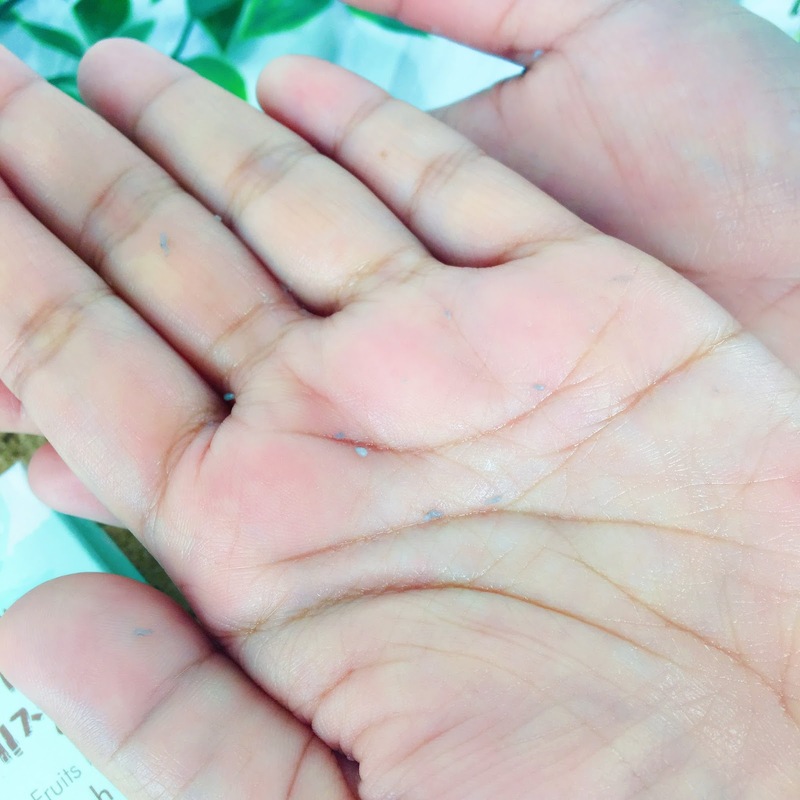 Not only it leaves my hand feeling extra soft, it also works like a peeling gel which helps to remove the dead skin accumulating around the back of my hands and palms. Isn't that new? I've never encountered any hand wash product that does this! Look at the little bits of dirt removed by the peeling gel! Despite being able to exfoliate the dead skin cells, this Whamisa Organic Fruits Family Hand Wash Gel also doesn't over dry my skin after I rinsed off the remaining product away. You know that uncomfortable tightening feeling on the palm after using some hand wash soap? The one that makes you reach out for your hand cream right away? With this, you can cut off all of that nonsense, because all you'll feel afterwards is your palm feeling all smooth and hydrated. I also love the scent of it! The only downside: I tried to search for this product online to find it's price but I can't seem to find anything usable for me to share here. Even their official website www.whamisa.com doesn't have it listed down in the product category. My guess is they have either already discontinue it from production, or they've released a repacked version of it. Anyway, any of you guys managed to try this product? Please let me know what you think about it! I click in for the pictures and I am satisfied with what I came for...hahahha that's great! Who knew a simple hand wash gel would be able to double as a exfoliator as well...btw babe...please don;t leave your stashes laying around...review them please!